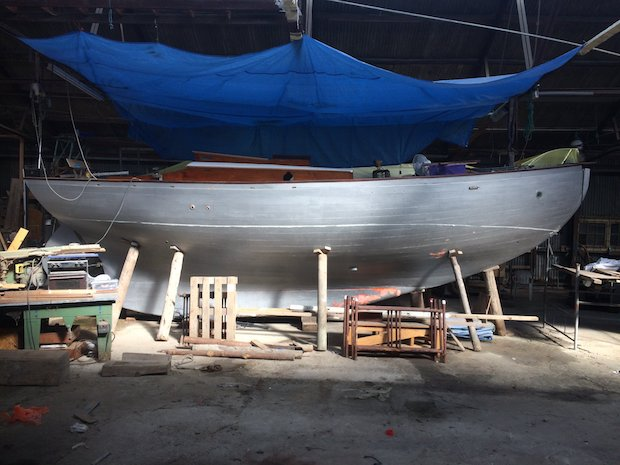 Since 2012, Tammie has been in the caring ownership of Nicholas Hall, who took on this historically important boat that had been somewhat neglected since being put up for sale in 2005. Nic's also been researching the history of Tammie's designer and has this to say; “John Shaw Helyer, 1857-1919, was born on the Isle of Wight. He worked for a time at the Royal Dockyard, Portsmouth and was a member of the RINA and RIBA in the late 19th century. He designed the Yorkshire One Design and a variety of other yachts before becoming an architect who designed buildings, practising in Bournemouth for a time. Soon after 1900 he and his wife moved to Vancouver. Here he seems to have been very successful, obtaining some major public buildings commissions including, in 1908, the famous Dominion Trust Building. His son Maurice joined the practice in 1910. 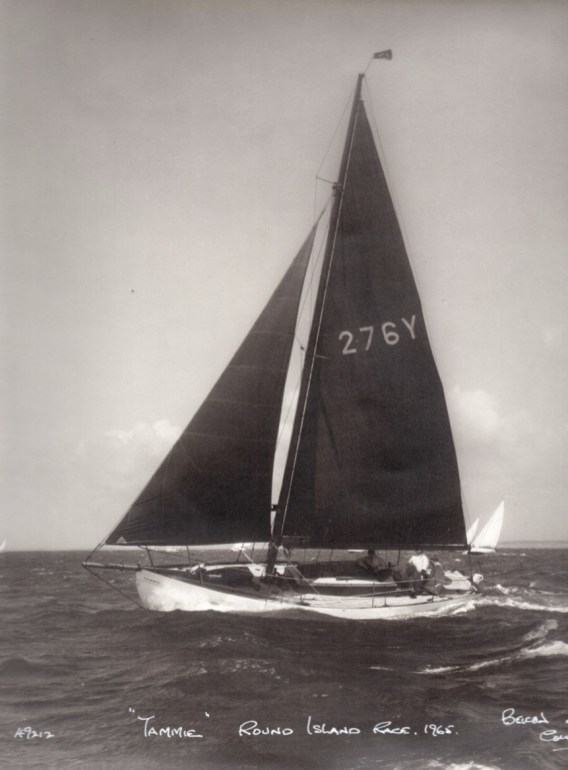 J S Helyer designed Tammie for George R Ratsey of the famous Cowes sailmakers”. In the early 1920s Tammie belonged to the celebrated yacht designer Charles Nicholson who fitted out her interior; she'd previously been used for fishing. She had the raised coachroof added in the 1930s and was sailed regularly until about 1980. For a while she was used as a live-aboard, then being rescued from dereliction by John Habgood around 1988. She attended the Brest Festival in 2000 but again became run-down as the 2000s progressed until Nic came along. He's making steady progress as the photograph below, taken in March 2018, shows. He's currently trying to source a mast with a view to having her Gaff rigged.